The management of Unilact has returned to school learning in order to enhance the business efficiency: „We no longer want to do business by ear.” Unilact Transilvania, the dairy processor from Unirea, Alba County, who produces the De la Ferma cheese, is headed this year towards 5 million euro sales, with a 20% increase as compared to the previous year, according to the company’s representatives. Unilact Transilvania, the dairy processor whose major shareholder is Marius Bicu, an entrepreneur, processes daily 15,000 liters of milk, a raw material turned into approximately 50-60 tons of cheese. 30% of the milk comes from its own sheep and cow farm while the 70% of it comes from purchases, the milk being purchased mainly from Somes Aries, an agricultural cooperative, Unilact Transilvania being a part of this cooperative. „We are selling in Auchan, Carrefour, Kaufland, in the hospitality industry, by means of a dealer in Bucharest and in 11 European countries, the exports representing 55% of the business. We must increase more our internal sales, in order to keep the balance”, Marius Bicu said, who is the major shareholder of Unilact Transilvania and the son of its founder, Vasile Marius Bicu. 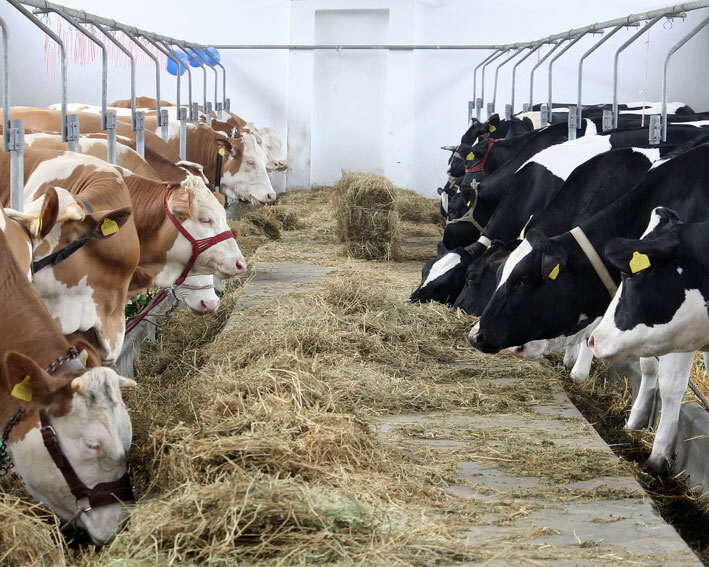 In order to make the business more efficient, the management of Unilact Transilvania has outsourced the cheese, cream and yogurt production to other dairy farms, such as Five Continents, Therezia Prod or Simultan, who produce under the De la Ferma brand. In its own factory, Unilact Transilvania produces mainly kneaded cheese (‘burduf’) and fresh telemes (white cheese). „At the beginning we also used to produce all kinds of products, as most of the dairy processors do, but step by step, we started specializing in certain products. We have concluded strategic partnerships with Therezia Prod for outsourcing our cheese production, with Five Continents and Simultan for cream and yogurt production. We are very pleased. Now we are searching for new partners in order to be able to produce only kneaded cheese within our factory, by 2021, from the processed milk”, said Marius Bicu, managing partner of Unilact Transilvania. The management of Unilact Transilvania attends, at the present moment, the CBC Romania training programs, aiming at growing the business and making it more efficient. For the coaching received from CBC Romania, Marius Bicu pays 1,000 euros per person each month. „We started attending school again in order to avoid doing business by ear. Every couple of weeks, I go together with the top management team to Bucharest, to attend a training program organized by CBC Romania. We try to reorganize the company and to make it more efficient. We are not only doing training, but we also receive the support of certain advisers who come to us in order to guide us. This is how we have realized that we have toxic people, communication problems, we have hired new people, essential people and other”, Marius Bicu said. In 2018, Unilact Transilvania has invested 100,000 euros in a new processing line for the kneaded cheese and other 70,000 euros in marketing, after it has widened its product portfolio by seven new items – more cheese assortments of different weight in grams. „We have purchased a new processing line, custom made, adapted to the kneaded cheese, which kneads and cuts the cheese. This investment has helped us increase our production capacity 7-8 times. The marketing impact of the investment is something we start to measure only now. We are about to replace the items we sell within Kaufland”, Marius Bicu said. Unilact Transilvania is among the few big entrepreneurial businesses within the dairy industry having Romanian ownership that haven’t been taken over yet by multinational companies. For instance, among the ten biggest dairy companies in 2017, only three factories have a Romanian ownership: Simultan, Carmolact Prod and Lactag. Most of the entrepreneurial businesses within the dairy industry have been taken over Lactalis Group, which currently owns Albalact, Covalact and LaDorna. The dairy industry reaches approximately 1 billion euros yearly. According to the turnover recorded in 2017, the biggest companies within this sector are Albalact, Danone Romania and Fabrica de Lapte Brasov (Olympus).